In addition to your dispenser time/pressure, Poly Dispensing Systems provides you with a range of adapters syringes multi-purpose. 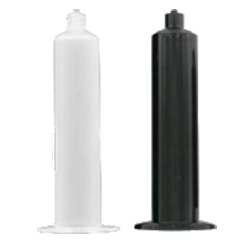 Designed in polypropylene and certified without silicone, they connect your system to the syringe. Made of polypropylene and certified silicone-free, syringes adapter connect the syringe to your dosing system. Thanks to the connector supplied with the adapter, the connection is fast and simple. Our syringe adapters make it easy to install and dismantle with a secure locking system that prevents accidental disconnection. 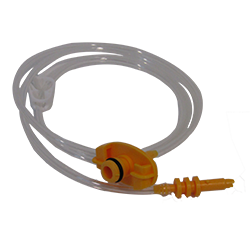 These adapters are available for 3cc, 5cc, 10cc, 30cc and 55c syringes. 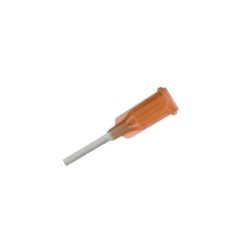 The general purpose needles are available in lengths of 6.35 mm, 12.7 mm, 25.4 mm and 38.1 mm with internal diameters of 1,54 mm to 0,10 mm. 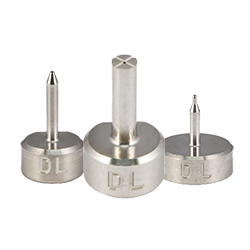 These needles are recommended for depositing low viscosity fluids. 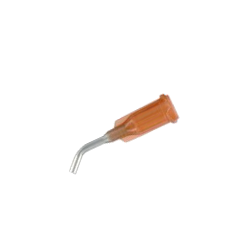 These needles have been designed for rapid and regular application of medium to high viscosity fluids or particulate-laden products. 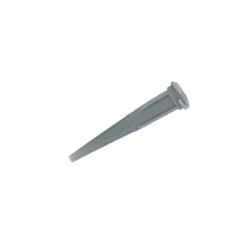 Angled stainless steel tips are available in 45° and 90° bends. The polypropylene cannulas can be cut to the desired length and allow access to areas that are difficult to access. 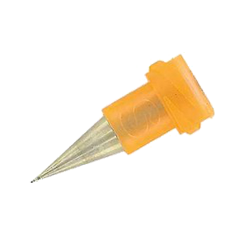 These needles allow you to remove pasty products such as mastics and epoxies in flat cords. The conical shape of the precision needles allows the fluid to flow more easily, with very small and progressive pressure drops. 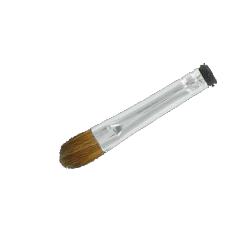 Also known as brush needles, these needles allow us to deposit glues and / or greases in hard or soft bristles and for large or small flows. Poly Dispensing Systems proposes you its special and ideal needles for your multiple applications. 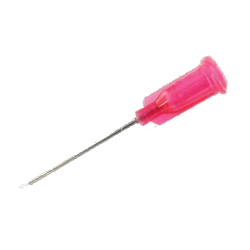 Our syringes are availables on the sizes 3, 5, 10, 30 and 55cc with five types of plungers perfectly adjusted for the various kinds of fluids.